Do I need a planning permission for a log cabin? 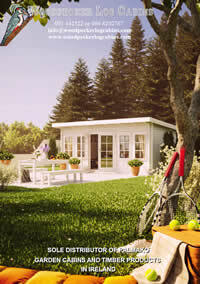 Log cabins which are under 25 m2 floor area do not require planning permission (i.e. they fall within the exempt category of the planning laws), providing you don’t have any other outbuilding. According to the Irish law, in order to be exempt from planning laws, the total area of all outbuildings cannot exceed 25 m2.